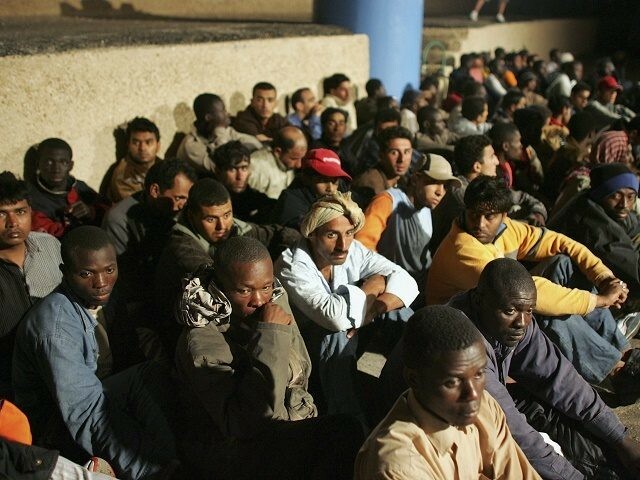 The Italian government has passed a new law that will cost taxpayers a record €700 million to defray the expenses of migrant welcome centers and centers for retention of “irregular” foreigners. The measure allocates €600 million for associations that deal with the first reception and housing of migrants, which is added to the €100 million budgeted for host municipalities to help deal with their costs in handling the influx of new migrants. A lack of government funding has meant that since last March unpaid bills for migrant services have been piling up and the new allocation of funds is meant to liquidate those debts while granting hosting centers a certain measure of breathing room, according to reports in the Italian media. The emergency government intervention is meant to “avoid economic collapse” in the face of a crisis that has become both social and economic. Late last month, Italy’s Interior Minister Angelino Alfano issued an ultimatum to the Treasury Department, warning that if €600 million were not approved immediately the entire immigration system would fall apart. The new measure is expected to be signed into law shortly, at which point the actual distribution of funds will begin. For its part, the European Commission approved € 2.4 billion of immigration aid for the period 2014-2020, with the aim of subsidizing member countries in handling the immigration emergency. This month Brussels has funded a total of twenty-three multiannual programs as part of its Asylum, Migration, and Integration Fund (AMIF) and the Internal Security Fund (ISF). Italy, with almost 560 million euros, and Greece, with 473 million, are the biggest recipients of aid. Specifically, Rome will receive more than €300 million over six years to support national efforts to increase Italy’s capacity to receive migrants, ensure asylum procedures in line with European standards, integrate migrants into society and improve the effectiveness of return programs. Another nearly €250 million will go to the management and surveillance of European Union (EU) external borders. The head of the Interior Ministry of Immigration, Mario Morcone, recently complained to Brussels of what he deemed “constant, obsessive monitoring” of Italian efforts to deal with the migrant crisis. Morcone also accused the countries of north and central Europe with harboring “a strong prejudice” and an “obsession” against Italy. So far in 2016, some 161 thousand migrants have arrived in Italy, all of whom must be subsidized by the state, along with many of those who arrived in previous years.